On 25 November 2016, the Australia New Zealand Ministerial Forum on Food Regulation (the Ministerial Forum) held its final meeting for 2016. The Ministerial Forum is responsible for the direction of food policies in Australia and New Zealand, and typically meets four times year. The Ministerial Forum consists of government food ministers from New Zealand and all Australian jurisdictions. The labelling of added sugars and vegetable oils. The 2011 Labelling Logic: Review of Food Labelling Law and Policy report had recommended that additional sugars and vegetable oils in food be labelled individually. However the recommendation had not yet been implemented. The Ministers noted that further work would be required to consider the potential impacts. Impact studies would have to be considered before considering the mandating of these recommendations. Low-THC hemp as a food. The Ministerial Forum is waiting to consider a proposal to allow the sale of food derived from low-THC hemp seeds. The proposal will be considered once a study of the impacts on roadside drug tests is completed in early 2017. Vitamin D fortification of breakfast cereals. The Forum noted its approval to allow vitamin D to be added to breakfast cereals, where the breakfast meets the Nutrition Profile Scoring Criterion. Synthetic foods. The Forum asked Food Standards Australia New Zealand (FSAANZ) to prepare a report on the potential safety, labelling and nutritional issues that could arise as a response to increased consumption of novel synthetic foods (the Ministerial Forum was quite vague on what might be classified as a “synthetic food”). Health Star Rating system. The Forum indicated a potential change to the Category 1D requirements for dairy substitute beverages. Currently, such beverages fall into this category if they have a calcium content of at least 80 grams per 100 millilitres. The Forum indicated that this could be changed to a content requirement of at least 100 grams per 100 millilitres. However, any change would not occur until after the completion of a five-year HSR progress review (AFN editor’s note: the HSR system was introduced in Australia in June 2014 so the review would not occur before June 2019). Allergen labelling. The Forum requested FSANZ to prepare a report to prepare a report on the uptake of additional voluntary allergen labelling initiatives to be presented to the Forum by late November 2017. Per- and poly-fluoroalkyl substances (PFAS). FSANZ is currently preparing advice on guidance values for contaminated sites, and the Australian Federal Department of Health is receiving advice on the management of PFAS. The Forum is not taking action on the matter of PFAS until this work is complete. 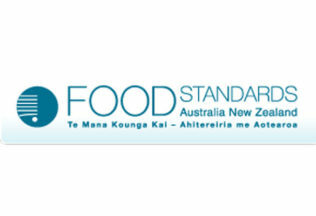 FSANZ, the federal regulator of the Food Standards Code, also announced on 13 December 2016 that it was seeking submissions from the food industry on the following applications to change the Food Standards Code. An application by Sanitarium Health and Wellbeing Australia to seek approval for the exclusive use for 15 months of an increased concentration of plant sterols to be added to breakfast cereals under the novel food provisions. Submissions are due by24 January 2017. An application by Essence Group Pty Ltd to permit isomalto-oligosaccharide (IMO) as a novel food for use as an alternative (lower calorie) sweetener and bulk filler in a range of general purpose and special purpose foods. Submissions are due by 3 February 2017. *FoodLegal is available to consult in relation to any of the above issues. Contact FoodLegal by clicking here.